We answered your questions! I can’t believe you missed it! We gathered a panel of crafty question answering experts to take your calls, Facebook questions, and tweets and oh boy were there some good ones. Haley Pierson-Cox from The Zen of Making,Vicki O’Dell, The Creative Goddess, and Jenny Barnett-Rohrs from Craft Test Dummies made up our panel and they were fantastic! We were a little all over the place today, but here’s a quick run down of some of the questions and quick answers. If you missed the show, no worries, you can listen to it online anytime, right here! Haley: Loves the Clover Seams Right for all her sewing projects! Jenny: Her go-to is dry adhesive, which is usually a tape runner. Vicki: Well, she’s all over the place, but she says her go-to is a good reliable Sharpie marker! Sometimes the simplest items are the most important. 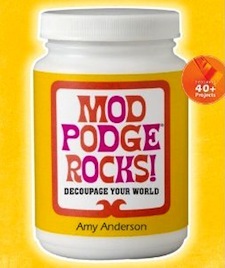 Amy: Besides ModPodge, Amy loves acrylic craft paint! Haley suggested using fusible interfacing because it fuses right into the fabric and you can work with it as one piece. Amy asked Jenny how to use water-color markers. Her advice was to color as you would normally and then go in after with a water brush or wet brush and brush it over to give it a cool water color effect. This technique works for water color markers, water color pencils, etc. Vicki: There are a lot of different companies that give sneak peeks right about now. Checking the company sites will let you see all the sneak peeks they’re releasing to get people excited for the show. Jenny: Jenny tries to not really check out the sneak peeks, because she likes approaching the show with fresh eyes. Which is a great way to show up at the show and get excited! Vicki: Go to your favorite craft store and buy something from one corner of the store and another thing from a different corner of the store, then put it together you’ve created mixed media! So if you buy some scrapbook paper and some wire and jewelry bits to make one item, you’ve created mixed media. Haley: Depends on the style you want to keep. Sewing on little felt numbers would be a cute way to add them. You can also use the mending method. Take the color yarn you want and then hand stitch right over the knit stitches you’ve already made so it looks a little like color work, but it’s actually a method of embroidery. Amy: Mod Podge will smear the inks, but you can spray the picture with sealant and let it dry before you Mod Podge. Also, this method has not been tested by Amy, you can freeze the photo for 12 hours before putting on the Mod Podge. Vicki: She prints hers right at home because she’s got three different kinds of printers and two scanners. Lucky lady! Jenny: Usually prints at home because she’s the type of gal whose inspiration hits at 2 am. Haley: Does not do a whole lot of printing, but prefers printing at home. Haley: If the graph appears correct, then you might be entering your stitches on the incorrect side. If you’re looking at the graph you are going to start left to right, the second row of stitches you are going to read right to left. Vicki: Has a project called the “World’s Easiest Necklace” on her blog, that take very little time and very little expertise! Jenny: You can actually use more Mod Podge! Because wood is porous it’ll stick to the already Mod Podge surface. Jenny: Do some research! YouTube videos and online tutorials are perfect for that. Once you know what you want to do, you have to build your basic tool kit to get started. Knowing what you are interested in creating, will help you pick the right type of products to get started. This is also the key to avoiding craft fails. Phew! That was quiet a bit huh? I didn’t get to cover everything though, so to make sure you didn’t miss anything don’t forget to listen in the archives for all the crafty knowledge. To enter to win the prize pack you’ll have to listen to the July edition of the radio show to get the “secret word” to enter in the comments section. It’s that easy! How can you not want an awesome sampler prize pack from Mod Podge? The prize includes Amy’s new book all about Mod Podge along with a huge sampler set of all the different kinds of Mod Podge. Contest closes July 13, 2012 at 11:59p CST. Please enter the super secret password from the radio show in the comments in order to be entered. Thanks all! Hope to see you next month, August 14th, for another great show! Great show today. I’m glad I found it! Thanks for all the great links to so many wonderful artists! And love, Mod Podge! Thanks for a great giveaway!!! Crafty Pros! Thank you for the tip about not using hot glue to attach something onto Mod Podge or shiny surfaces because it might not hold well. I like mixed media art, and I’m sometimes concerned about how well things will stay together. I usually learn by trial and error, but I love learning how the “Crafty Pros” do it. I love seeing what all the Crafty Pros have come up with! Thanks for the chance to win! The “crafty pros” give good advice! Mod Podge is my latest addiction- that book looks awesome! Thanks for all of the great inspiration! Love to hear what the Crafty Pros have to say about new techniques. I LOVE Mod Podge! Ain’t nothing Crafty Pro’s can’t do with it! 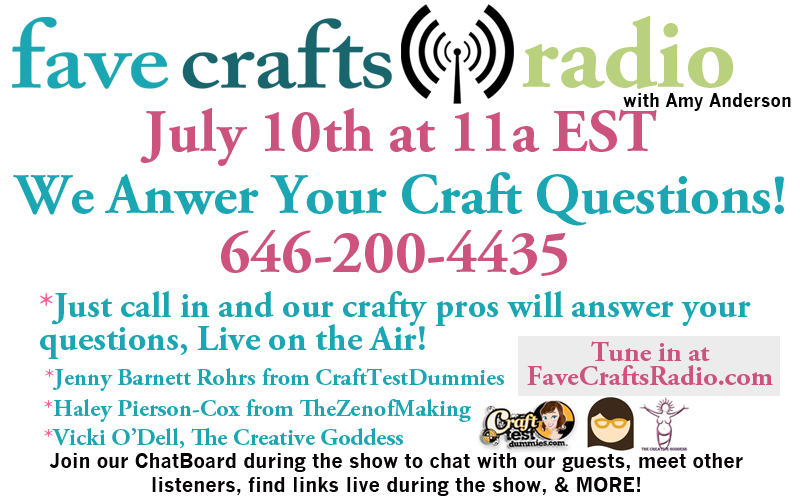 Loved reading/listening to the Crafty Pros! Crafty pros for the win!!! Enjoyed the Crafty Pros show. Thanks! Something I read today on FB I think, or a blog… they were asking where to buy Outdoor Mod Podge. I didn’t even know you made an Outdoor version. 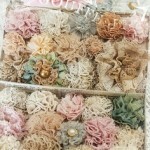 What craft stores or other vendors carry thing? Is there a place we can look online to find out? 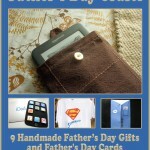 Grab our Free eBook for a Fabulous Father’s Day!